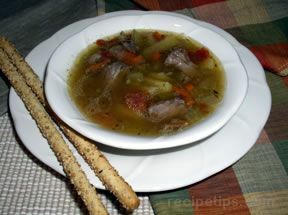 A light yet filling vegetable soup. Over medium heat sauté onion, garlic, celery, carrots, and potato for approximatly 7-10 minutes. Season to taste. 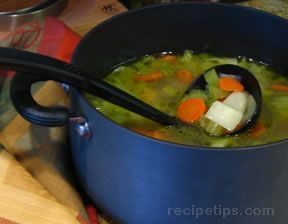 Add chicken broth and water to pan. 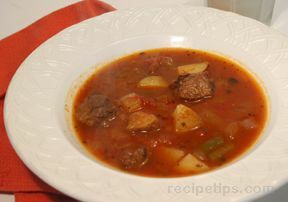 Bring to a full boil, turn heat to a simmer for approximately 30 minutes, or until the vegetables are tender. 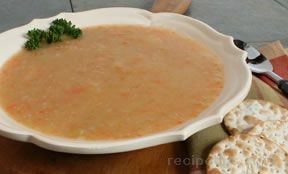 With an immersion blender, purée soup in the sauce pan or purée in small batches in a food processer. Then, return to sauce pan and reheat. Season, if necessary.